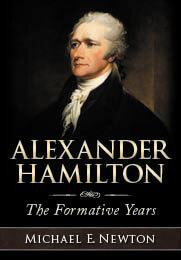 Last week I wrote about Alexander Hamilton’s “dear” friend Edward Stevens and the discovery of a contemporary record that gave Steven’s date of birth, something which previously was a matter of dispute. Around the same time that I discovered that record, I found a letter by Stevens that included information that, as far as I can tell from a search of Google Books and other sources, has never been known before. 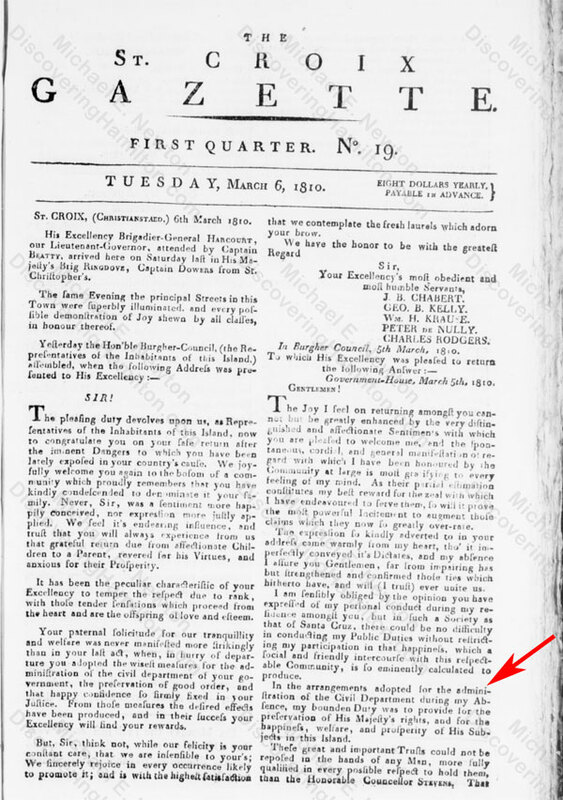 The letter I found, the contents of which are mundane and unimportant, was written by “Edward Stevens, Prest” on January 2, 1810, from St. Croix’s “Government House” to St. Croix’s Burgher Council. 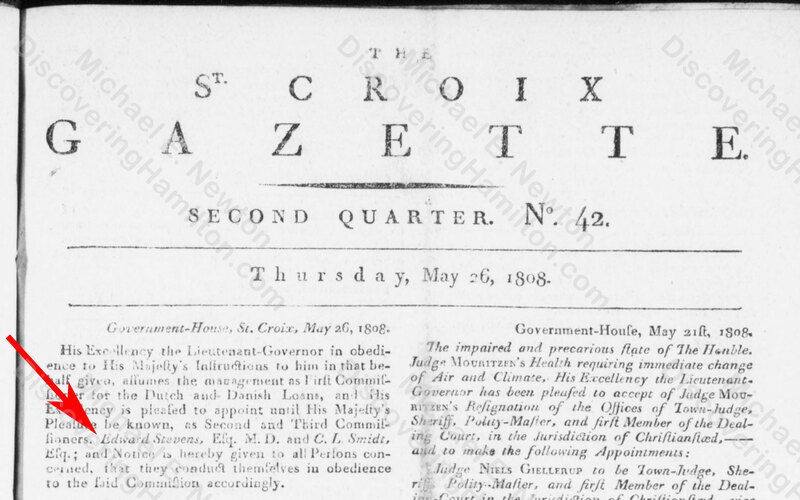 I never knew that Edward Stevens had been president of St. Croix. 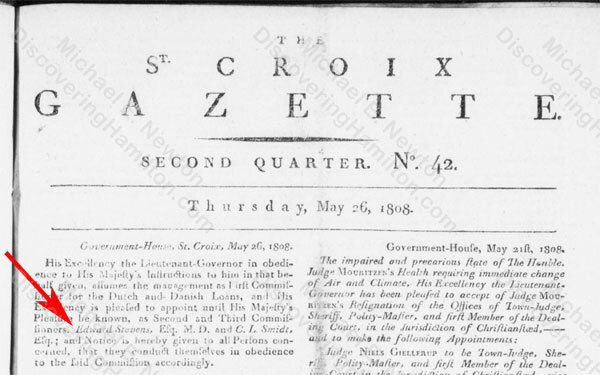 In fact, I didn’t even know that St. Croix had a president in 1810 because it never had one during the period of the island’s history which I study, i.e., from 1733 when the Danish acquired St. Croix to 1772 when Hamilton departed to the British North American colonies. 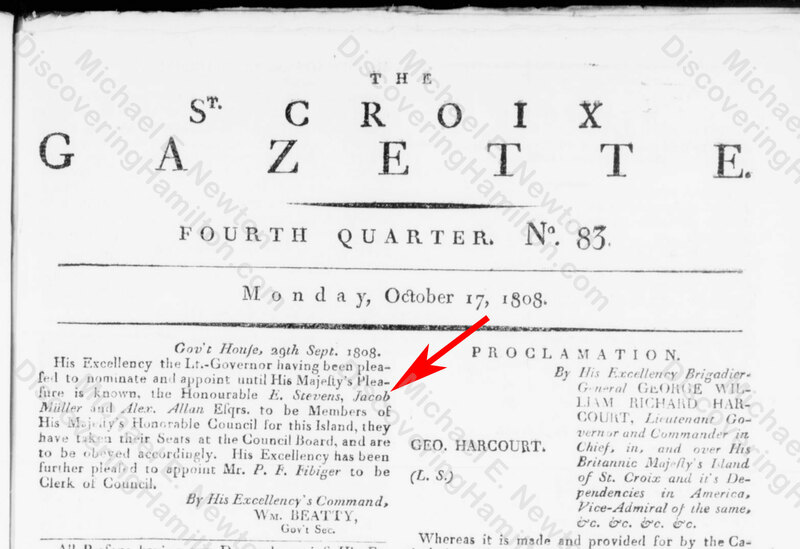 A web search and search of Google Books yielded nothing about Edward Stevens being president of St. Croix. 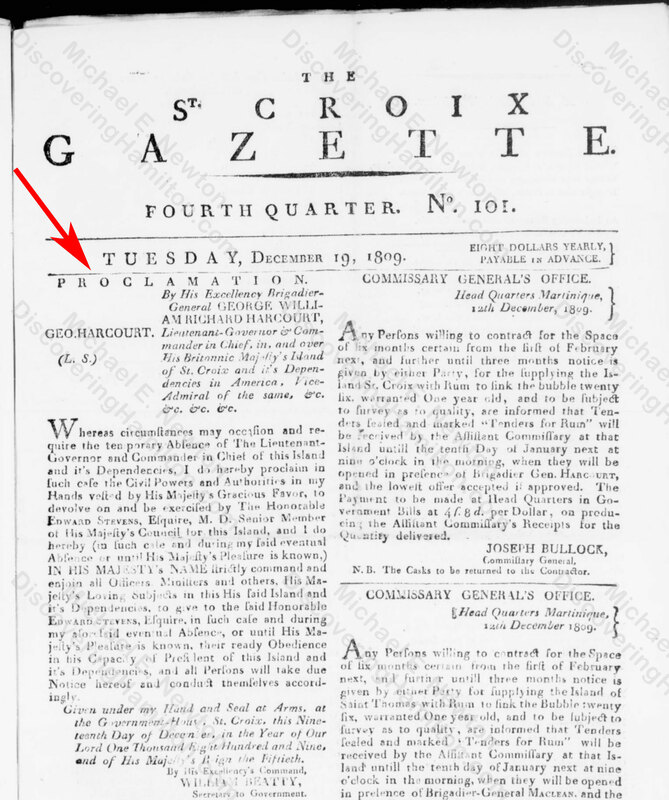 So how did Dr. Edward Stevens become President of St. Croix? In the midst of the Napoleonic Wars, the United Kingdom and Denmark went to war with each other. In August and September 1807, Britain bombarded Denmark’s capital city as it tried to capture or destroy the Danish fleet in a battle known as the Bombardment of Copenhagen or the Second Battle of Copenhagen. 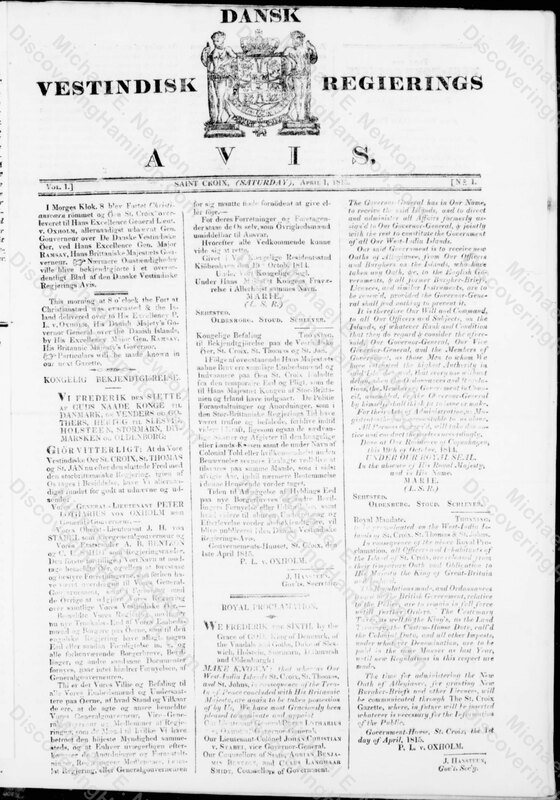 When news of the war and battle reached the West Indies in December, a British fleet sailed from Barbados to the Danish West Indies. 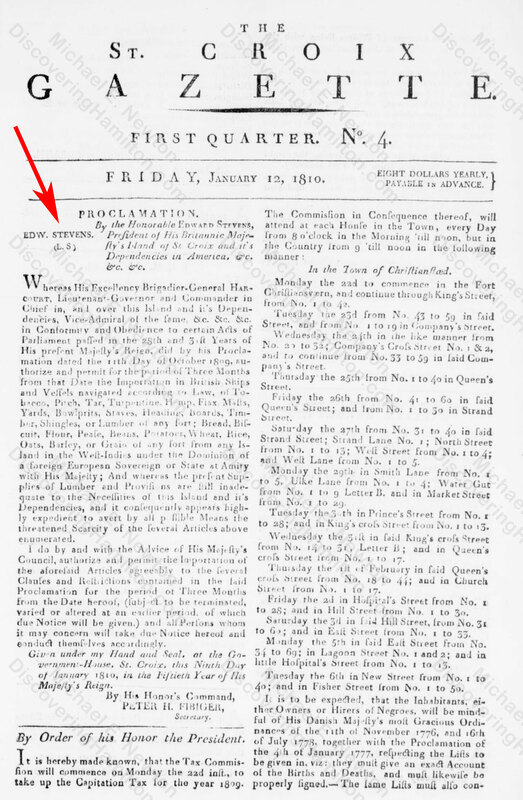 St. Thomas surrendered on December 22. St. Croix on December 25. As a leading citizen and a former U.S. ambassador, Edward Stevens was named to a series of increasingly prominent positions under the British occupation. 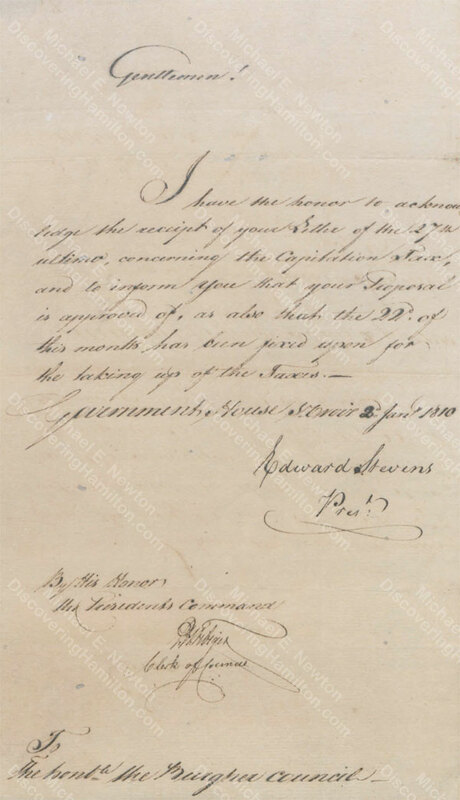 On May 26, 1808, Edward Stevens was named Second Commissioner for the Dutch and Danish Loans. On September 29, 1808, Stevens was appointed a Member of His Majesty’s Honorable Council for St. Croix. 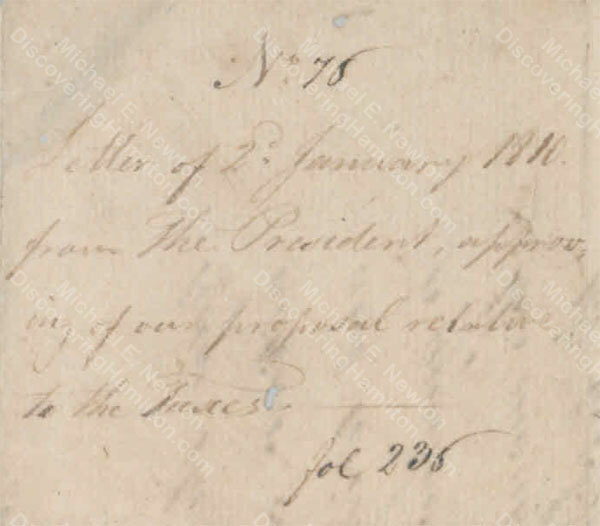 One can see Edward Stevens acting as president just 21 days later in his proclamation of January 9, 1810. 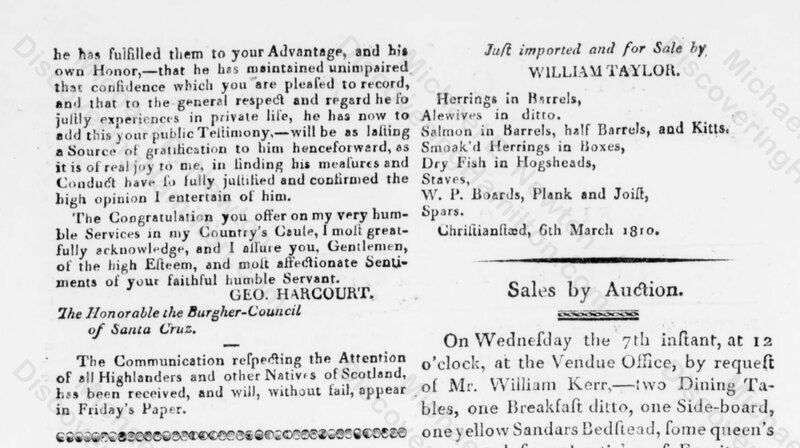 In the arrangements adopted for the administration of the Civil Department during my Absence, my boundless Duty was to provide for the preservation of His Majesty’s right, and for the happiness, welfare, and prosperity of His Subjects in this Island. These great and important Trusts could not be reposed in the hands of any Man, more fully qualified in every possible respect to hold them, than the Honorable Councellor Stevens, That he has fulfilled them to your Advantage, and his own Honor,—that he has maintained unimpaired that confidence which you are pleased to record, and that to the general respect and regard he so justly experiences in private life, he has now to add this your Testimony,—will be as lasting a Source of gratification to him henceforward, as it is of real joy to me, in finding his measures and Conduct to have so fully justified and confirmed the high opinions I entertain of him. 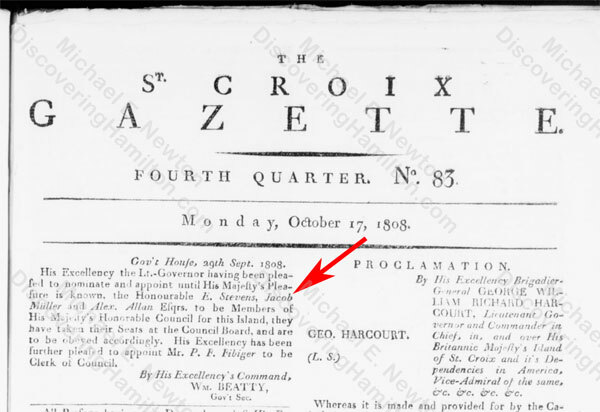 With the end of the Napoleonic Wars, the United Kingdom returned control of St. Croix to Denmark in April 1815. St. Croix remained a Danish possession until the United States acquired it along with the other Danish West Indian colonies in 1917. As U.S. citizens, Cruzans (or Crucians) now have a president, i.e., the President of the United States. More than two hundred years ago, they also had a president for a brief period of time, namely Dr. Edward Stevens, who served as president of St. Croix for about 2 ½ months in 1809–10. © Posted on November 12, 2018, by Michael E. Newton. Please cite this blog post when writing about these new discoveries.